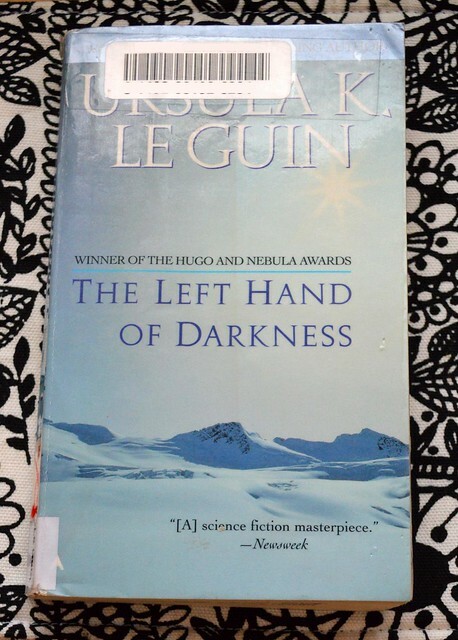 My latest reading project rolls on with The Left Hand of Darkness by Ursula LeGuin (first published in 1969). I’ve seen LeGuin’s writing described as zen-like. The descriptor fits her style in Left Hand well, especially when she’s describing traveling across the icy landscape. A fascinating read, and one I may well like to get back to after mulling it over. Considering that I very much enjoy and have read LeGuin’s Earthsea stories several times in two languages, I can’t believe I haven’t read The Left Hand of Darkness before!